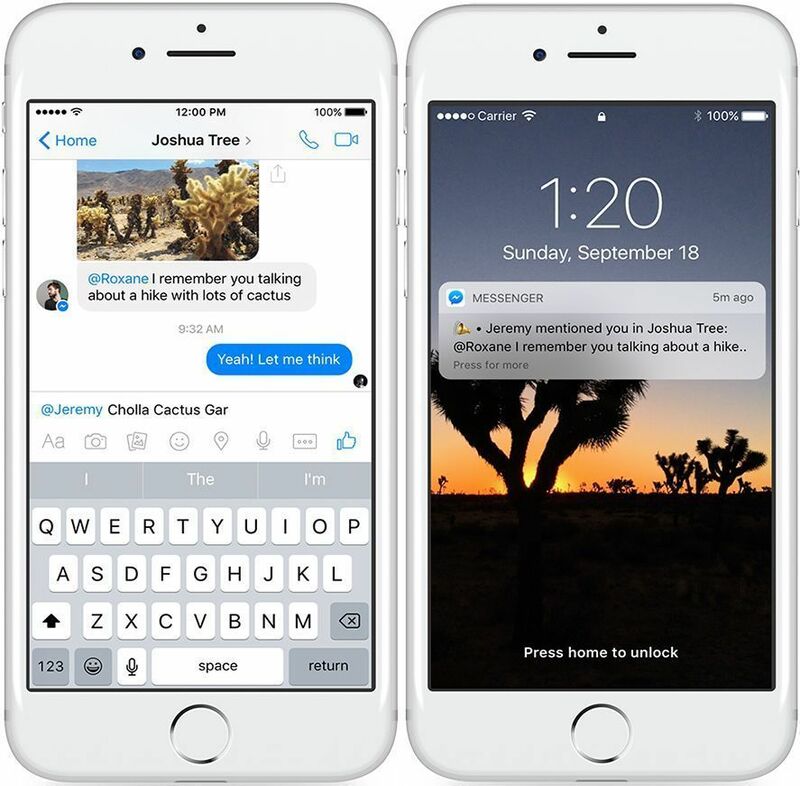 Facebook Messenger is one of the most important chat apps and is in a constant turf war with WhatsApp and to a lesser extent Telegram. Messenger’s strategy to keep itself constantly in vogue is by rolling out new features every few weeks. Though its recent addition of disappearing posts appears to be a dud, today it’s got two new bits of flair to decorate your chats: emoji-based reactions and the option to mention people with pings in group chats. 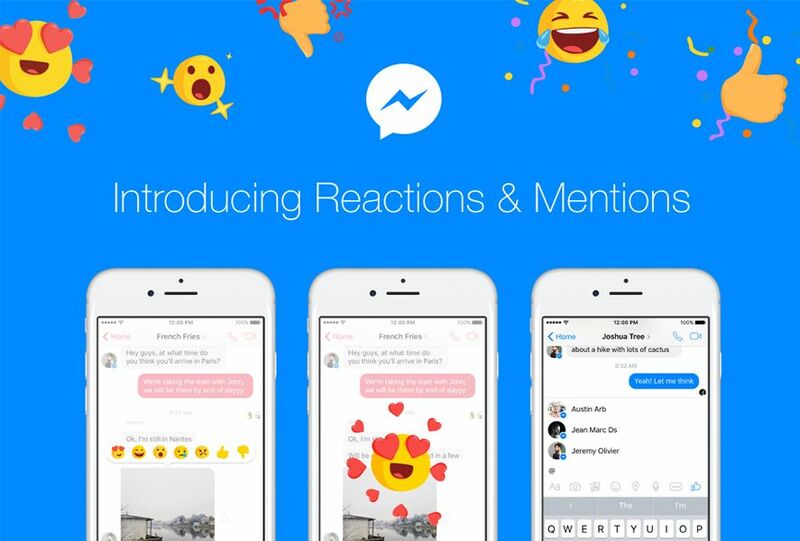 Reactions on Facebook Messenger are an interesting addition to bring a bit more life to your chats or respond quickly to a message. To use this new feature just hold down on a message to see seven different reaction options. Besides the standard emojis, there’s a thumbs-down one, which rumor has it is supposed to appear on Facebook itself at some point, though for now we’ll have to content ourselves with using it on Messenger alone. These reactions can be used for any type of message (text, stickers, videos, GIFs, emojis) and you can view who has reacted to your messages in a mini-summary that shows who’s used which emoji. Super useful in group chats. Mentioning people in a chat on Messenger wasn’t that easy before the arrival of this update. But now, as on Twitter and Telegram, you can use the @ symbol and the first few letters of a chat participant’s name to mention him or her. A logical and much-needed addition that should make our lives a bit easier. 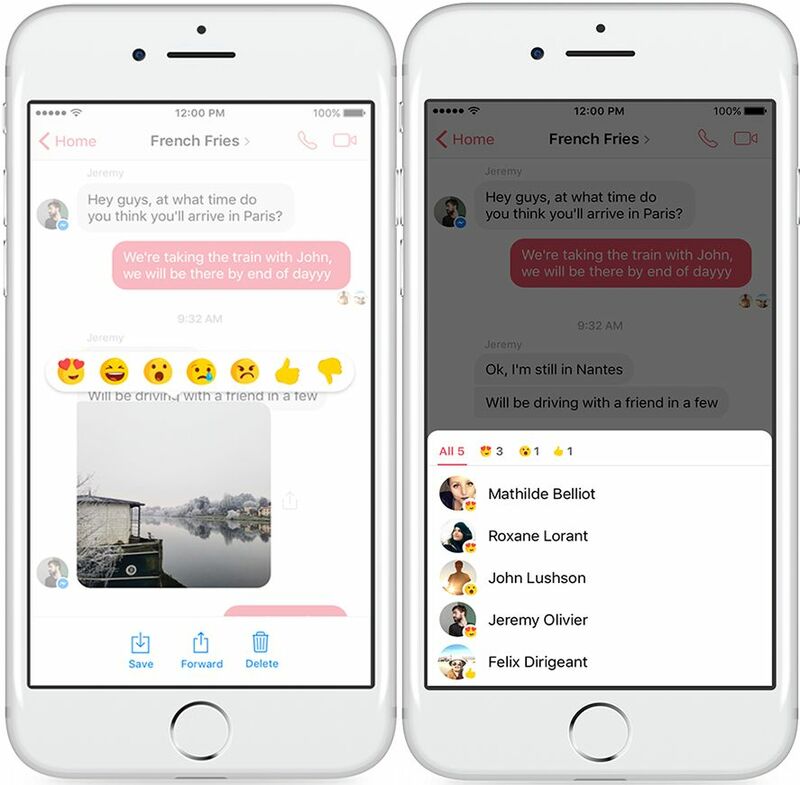 These changes are slowly rolling out to Facebook Messenger’s gigantic user base and in a few days should be global.